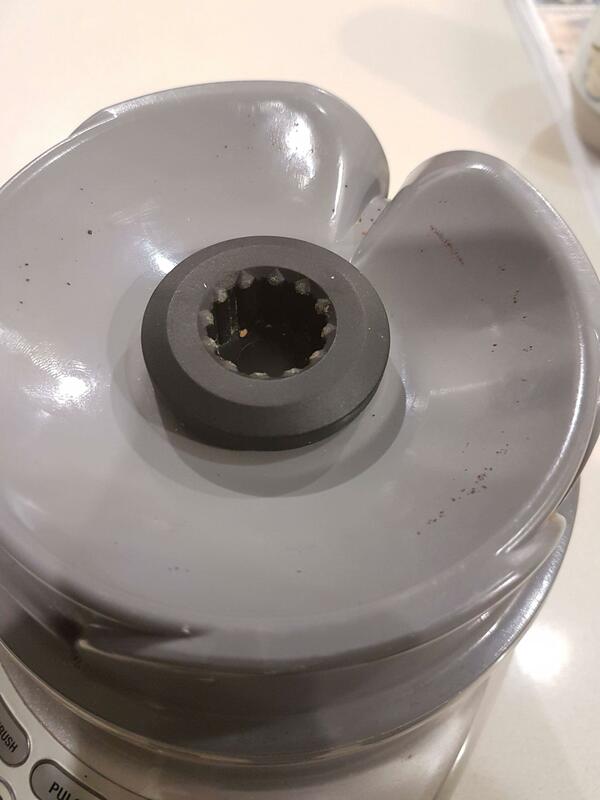 From the video, it doesn't look exactly like the drive coupling on the Breville and also I have no idea how the guy figured it was a left handed thread. The presenter also doesn't show if the drive spins clockwise and anti-clockwise freely as the Breville's does. Since the Breville's drive coupling freely spins in both directions, I think this videos approach may not work. How can I go about replacing the drive coupling of this blender ? If it is press fit then you need to just pull hard. If it is screwed then you need to lock the shaft somehow and then turn the coupling in the same direction as it normally turns when it blends. Locking the shaft down may require some disassembly to get access to it. If you have the replacement ready you can look where the shaft connects to see which it is. Not the answer you're looking for? Browse other questions tagged repair kitchens appliances or ask your own question. How do I replace oven insulation that has been soiled by mice and smells bad? How do I replace an axe handle? Can I replace the insulation in an LG oven? How do you access under a front loading washing machine drum to remove a trapped coin? How to replace office chair wheel? Pipe seized to inaccessible coupling - how to attach a new pipe?